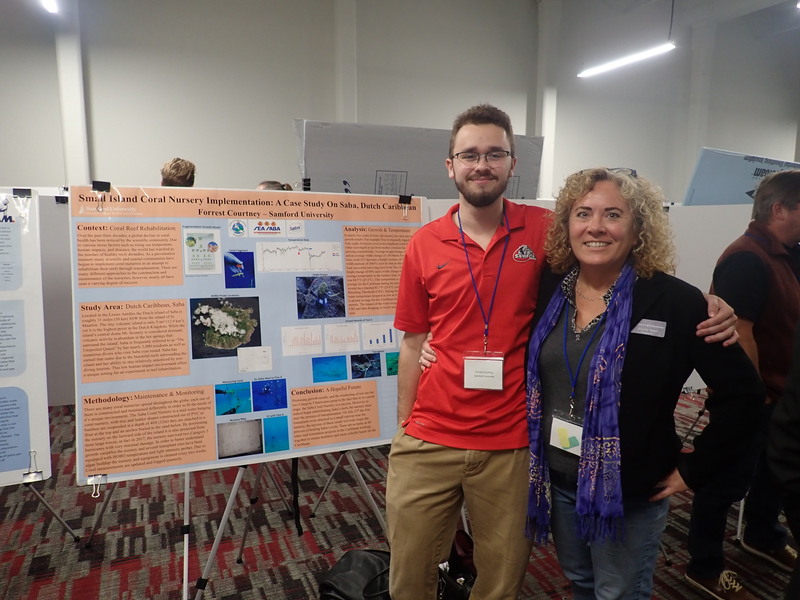 Samford Geography student Forrest Courtney presented his research with faculty member Jennifer Rahn on a coral nursery on the island of Saba, Dutch Caribbean, at the American Association of Geographers (AAG) conference in New Orleans in April. Rahn leads Samford students in January and summer terms to give them hands-on experience and help them learn how to conserve Saba's ecosystem, including coral threatened by environmental pressures such as disease, damage from hurricanes and lethal bleaching. Watch a video about the the coral nursery project.